Sell tickets & register paid attendees in minutes. Accepting online payments is easy and fast using ClearEvent and Stripe. Accept online payments and receive your funds in minutes not weeks! The world has become a digital marketplace and the events industry is no exception. 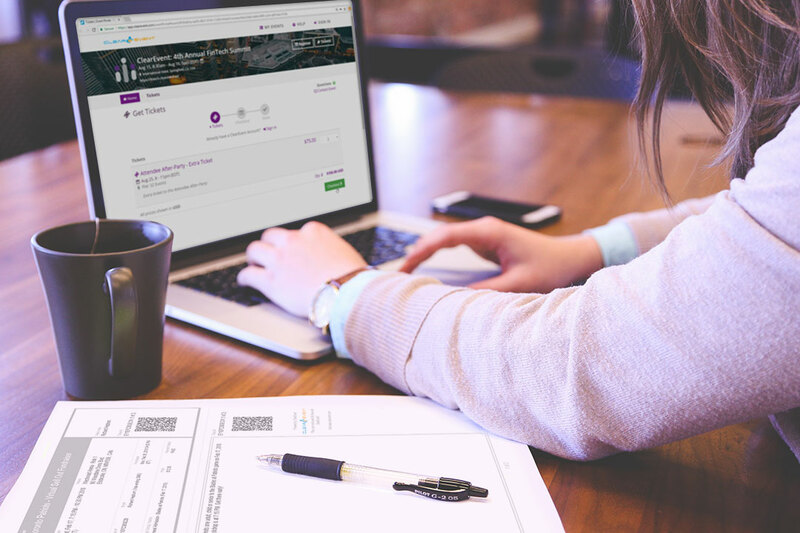 Whether you run conferences, seminars, festivals, or special events accepting online payment instead of check payments will accelerate your ability to transact and conduct business with your attendees. Stripe integrates to the ClearEvent platform to enable seamless online payment processing. Accept all major credit cards and power faster checkout with Apple Pay and Google Pay. Stripe is certified to PCI Service Provider Level 1, the most stringent level, and transacts billions of dollars every year for forward-thinking businesses around the world. To get started all you need is a bank account. We’ll step you through creating your own free Stripe account. Once you’re set up, you can start collecting online payments. 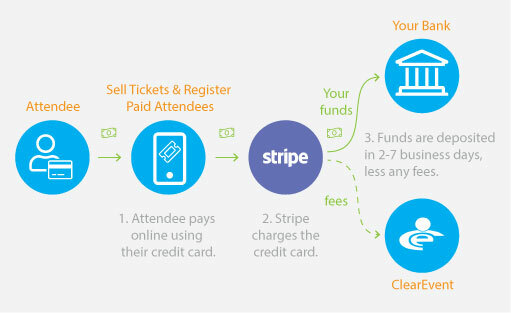 Money is transacted directly between your registrants and your event’s Stripe account. Transfers are made to move funds from your event’s Stripe account to your events bank account on a 7-day rolling basis (2-day in the US). You won’t need to wait until your event is over to get your money!